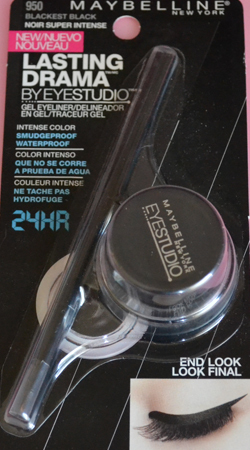 After a few months experimenting with different mascaras, I’ve decided to try out another Maybelline product. This mascara promises to add volume to your lashes, without creating clumps. You can find the product here. 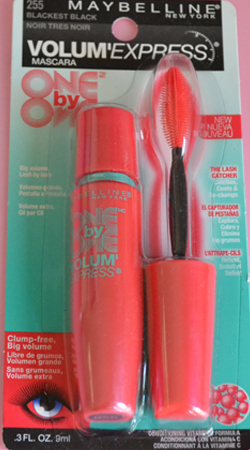 The brush is designed to prevent clumps. It is a volumising mascara. The shape of the brush works really well at preventing clumps - there were literally none, no matter how many coats I did. Black pigmentation gives a nice dramatic look to the lashes. The mascara is actually quite lengthening if applied well to the ends of the lashes. The packaging is really pretty and uses nice colours. Having a thin edge allows the brush to get into the inner corner without accidentally pressing mascara on your eyelid. To achieve volume I had to use quite a few coats, which is disappointing because that’s the main thing I wanted from this mascara. The final result didn’t look as natural as other mascaras that I’ve used. This product is the first gel liner I’ve ever tried, as I heard from several people that gel liner is a lot easier to apply than liquid. After using this I wouldn’t say it’s easier to use than liquid, but it certainly takes less time to get the desired shape right. You can find the product here. Claims to last 24 hours. Comes in a small pot holding 3g of gel liner, with an application brush. It doesn’t smudge or need time to dry. It’s quite pigmented as long as enough is applied. This means that the liner is buildable, allowing both subtle and dramatic looks. The brush provided is easy to use and create shapes with. The pigmentation strength of the black is not as strong as a liquid liner would be. Great review, I might have to try this one! Ive been looking for a new eyeliner, I may give this one a try! Thanks for the review! I've been thinking about picking up that mascara but every time I stray from my HG I end up regretting it!